Matt Murphy, GM & SVP at NBC Sports Bay Area & California. 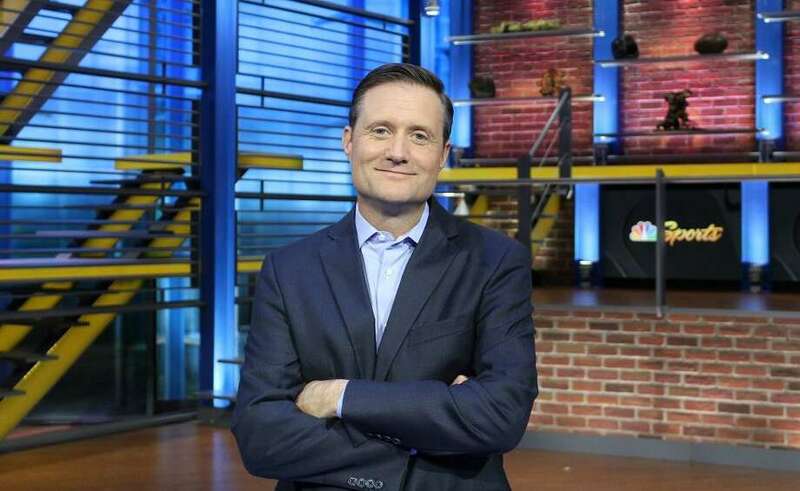 NEW CANAAN — In January, Matt Murphy will step into his new role as Senior Vice President and General Manager of NBC Sports Bay Area and NBC Sports California. Murphy was born and raised in New Canaan, spending the first 18 years of his life in the town. After graduating from New Canaan High, he attended Washington and Lee University where he graduated with a bachelor’s degree in European history. “As a European history major, when you graduate it’s not like you have a lot of direction,” Murphy joked. After returning back to New Canaan, he landed a full time job with a company called News Bank. While attending a conference on behalf of the company, he ran into a representative for ESPN. Noticing the opportunity, he said he spoke to the representative and left a lasting impression. Walking in the door, he quickly learned the media field. He said the timing was great because at the time ESPN was growing as a network. The company was also expanding with their website. “They started to grow the number of networks they had and their portfolio,” he said. This was also around the time the company started to get into high-speed data and video on demand. Murphy said he then began to become involved with the digital aspect of the company. “I had the opportunity to figure out ways to monetize all the great content coming out of ESPN and the Walt Disney company on these new emerging platforms,” Murphy said. From Netflix to YouTube, the company took part in all of the new platforms. Over the years, he has watched technology create shifts in his career field. This opened up the ability for consumers to watch anything they wanted at anytime, Murphy said. Though television is still important, he said it’s important to grow the business to include these new platforms. As Senior Vice President and general manager of NBC Sports Bay Area & California, Murphy will be responsible for the networks and their multiplatform content. He also will be responsible with maintaining relationships as the league’s local sports networks of the San Francisco Giants, Golden State Warriors, Oakland Athletics, Sacramento Kings, San Jose Earthquakes and San Jose Sharks. Watching and being a part of the industry’s growing process will help him in his new role. Going out to the Bay Area will be no different than the other regions that has seen significant change, he said. Murphy said he was lucky to be working in media and sports. Growing up, he recalled his mother and father being concerned that he watched too much television.